Congrats Corey! Saw the pics on FB, but I LOVED the "behind the scenes". Congratulations! First on getting engaged and secondly on fixing the fans. Of course, the engagement is the most important. Congrats to you two lovebirds! Haven't had time to do much but Lobo still starts up after we were gone for a month. Lobo has been in a sad state. 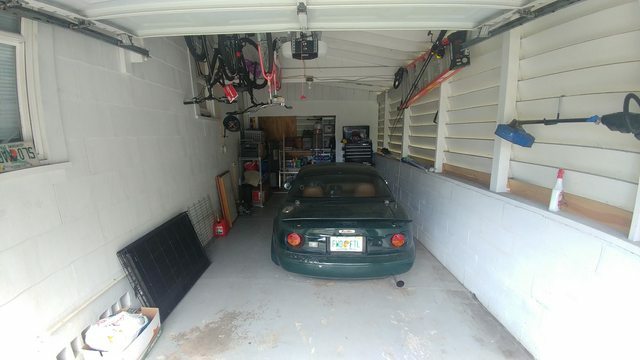 I've always been told to keep windows down in a garage, and probably should've taken into account the fact that my garage is not fully enclosed. Recently we fully cleaned our garage and opened space up. Then I realized that not only was Lobo very dusty, but the battery was dead, and there was mold. Thankfully the mold wasn't as bad as it could've been. 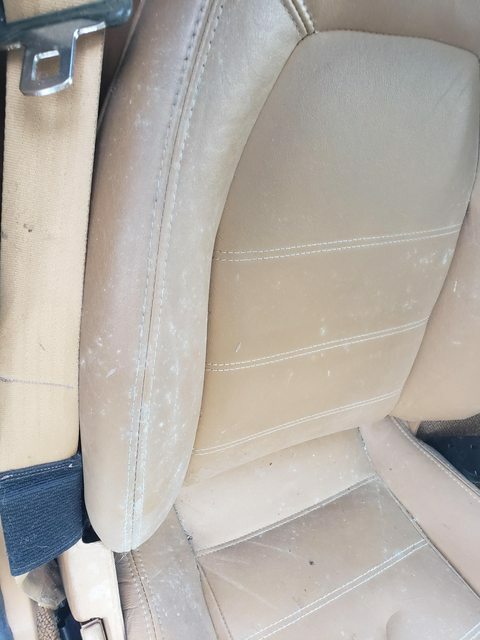 I rolled the car out, got some N95 masks, and a mold removal spray and went to town today, and left the car out in the Florida sun all day with the windows down to air it and dry it out. I got a new OEM battery under warranty, and replaced some vacuum line that popped off the last time I drove it. 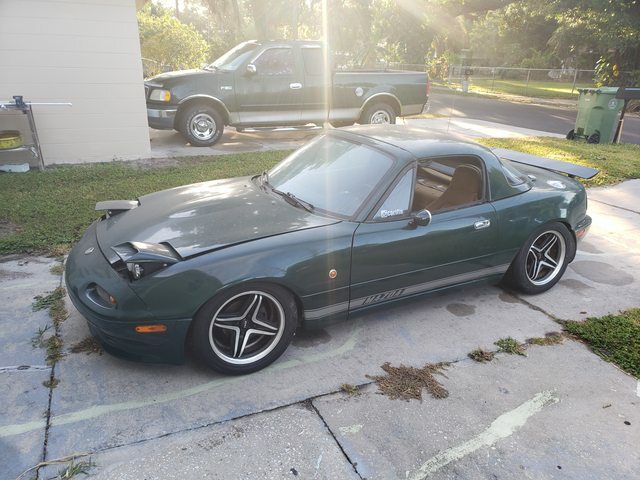 (The proposal on May 1st) I will be getting a few things in order and hopefully I will start driving it again soon. I just unplug my battery when my car is in the garage, got them to last a LONG time that way. I also use gel battery as well. 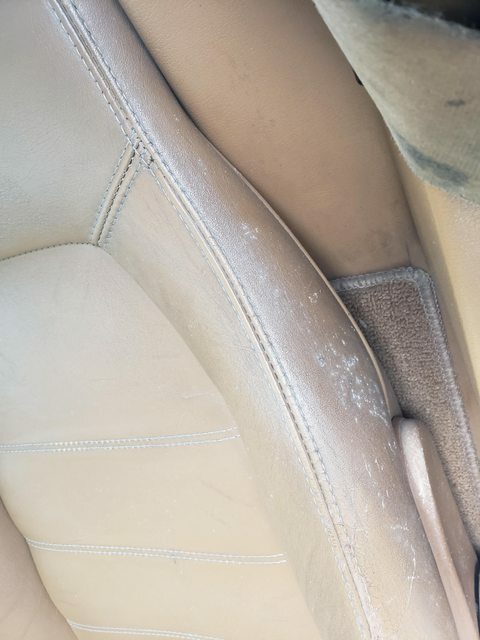 The mold is sucky but fixable and from now keep some silica desiccant packs under your seats, and in the trunk, Florida Humidity can be a nightmare on cars if left unchecked. We need to hook up again man, I have not seen you in forever. Drove the car the other day for the first time in 6 months. Brought it all back. Took it to my friends shop; Manhammer Motorsports. He's going to hit it with a fine tooth comb and make sure everything is in order while also fixing or cleaning up a lot of little things. Looking forward to getting back to regularly driving it. 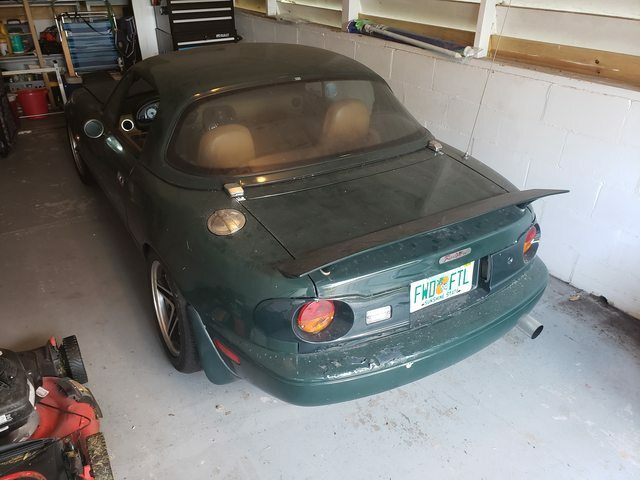 Picked up this somewhat normally hard to find part.